We are busy moms who love to cook, and want to feed our families healthy, delicious food. We've found that creating weekly menus decreases the stress of figuring out what to make for dinner when everyone's already tired and hungry, makes cooking dinner more enjoyable, and allows us to keep what our families are eating relatively healthy by decreasing processed food, fast food and take-out. We'll share our weekly menus EVERY THURSDAY, along with grocery lists, with you, and along the way we'll throw in dinner parties, delicious breakfast ideas, our favorite desserts, and more. This recipes comes from Gourmet magazine, and is supposed to be made with tuna, but I had swordfish and either way, it’s delicious, both sweet and savory, crisp and tender. The salad is light and cool and made for summer. Serves 4. 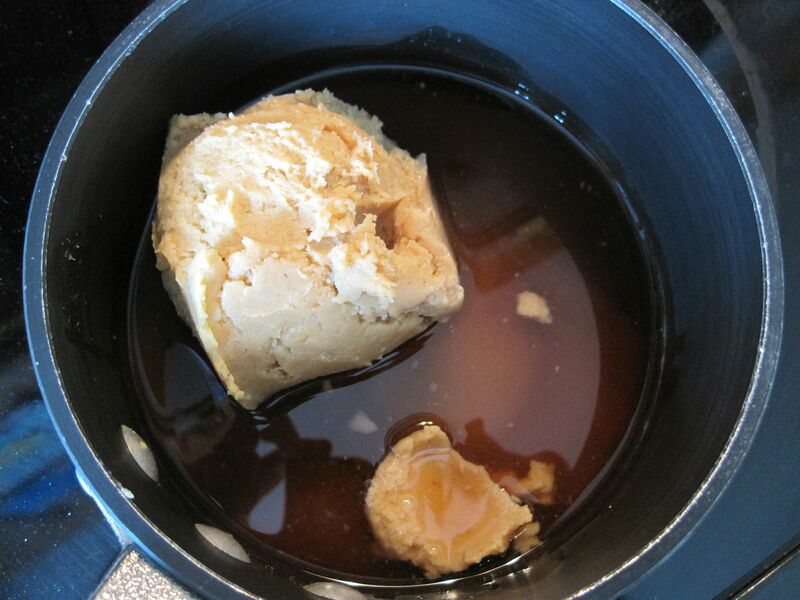 Combine miso, mirin, sugar and water in a medium pot and cook over medium heat until the sugar has dissolved and the miso has softened. 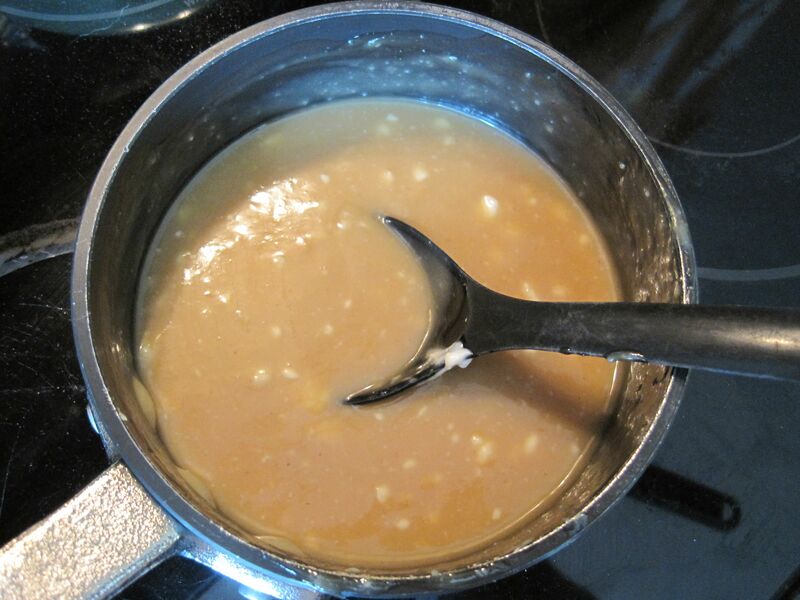 Remove pot from heat and stir in the mayonnaise. 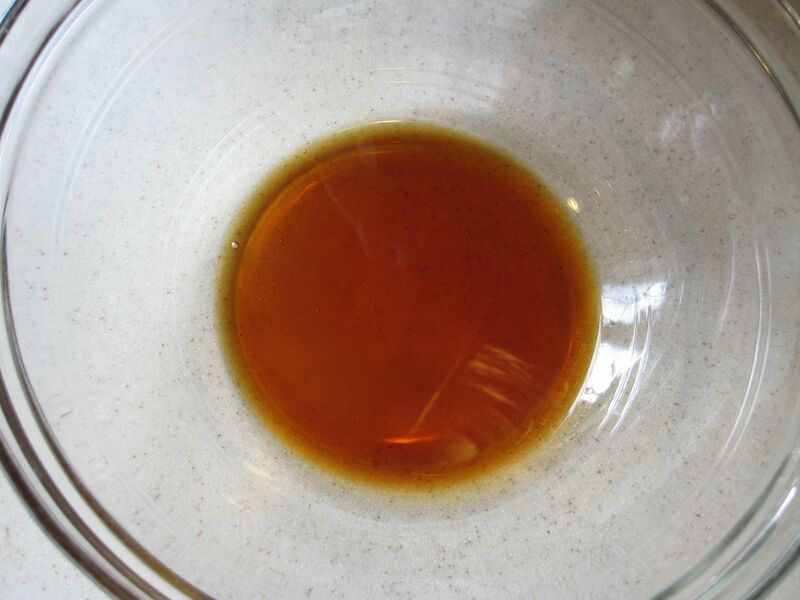 When the marinade has cooled, combine it with the fish in a ziplock bag and marinate in the refrigerator for at least 1 hour and up to 24 hours. 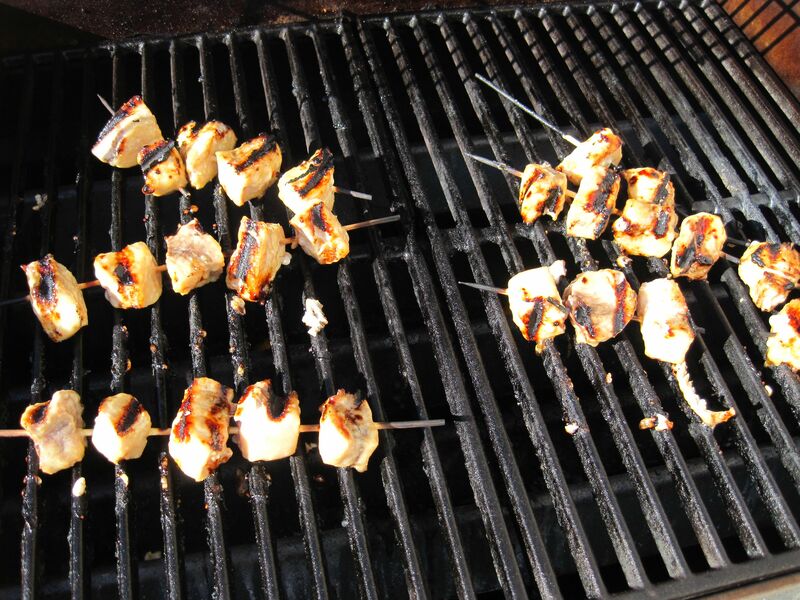 then flip skewers over for another 2 – 3 minutes. 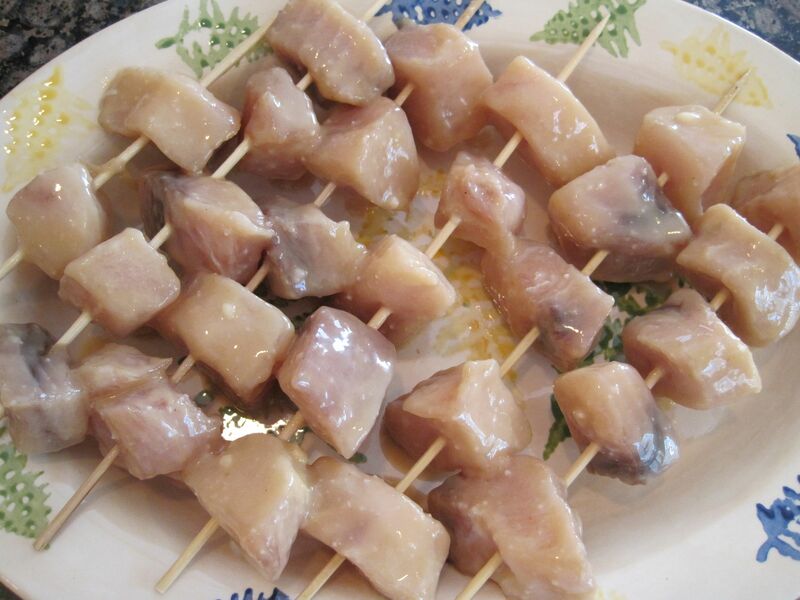 Remove from grill and let sit for 5 minutes before serving. 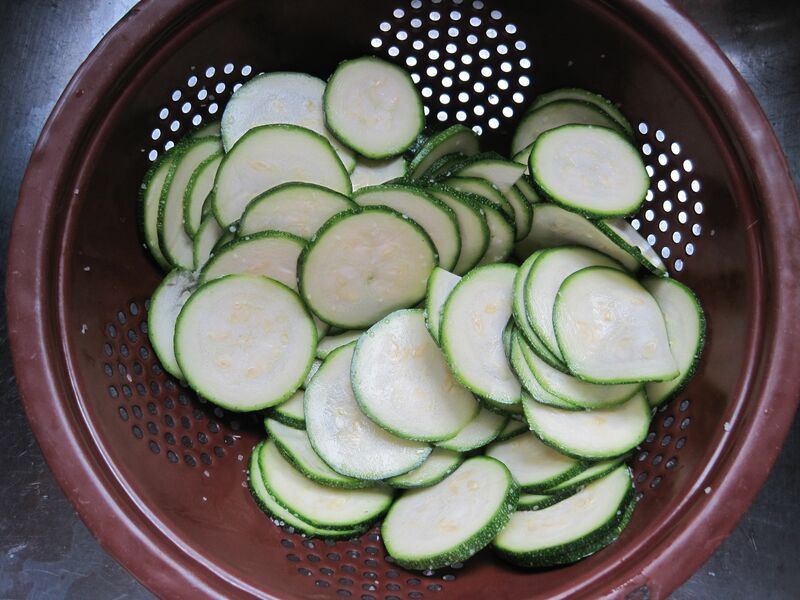 Combine zucchini and salt in a colander set in the sink and let sit for 30 minutes. Rinse well with cool water and then pat dry with a kitchen towel. 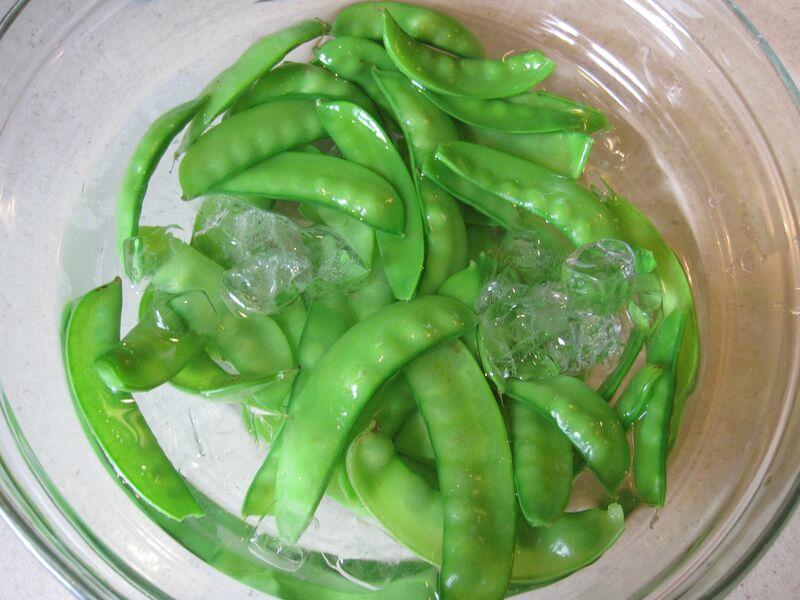 Cook snow-peas in a pot of salted, boiling, water for 1 1/2 minutes, then drain and submerge peas in a bowl of ice water to stop the cooking process. When cool, drain peas again and pat dry. 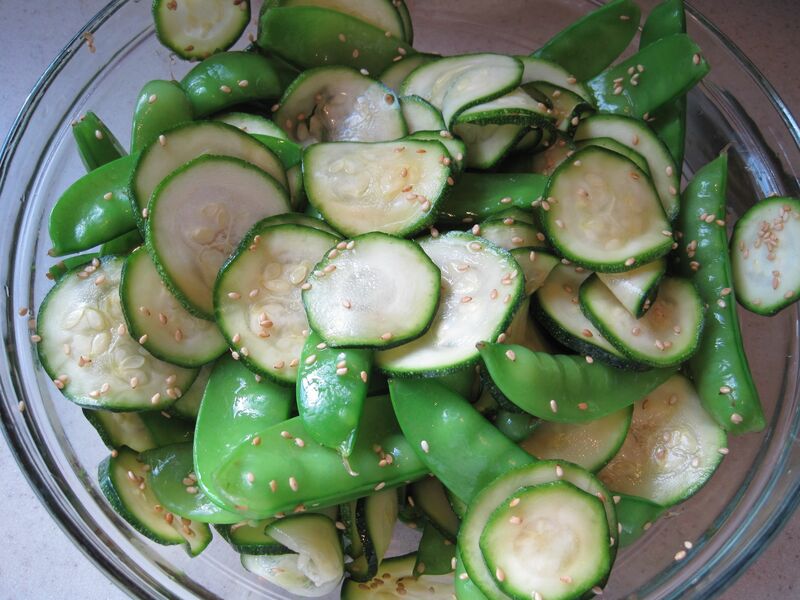 add zucchini, snow-peas and sesame seeds and toss well to combine. 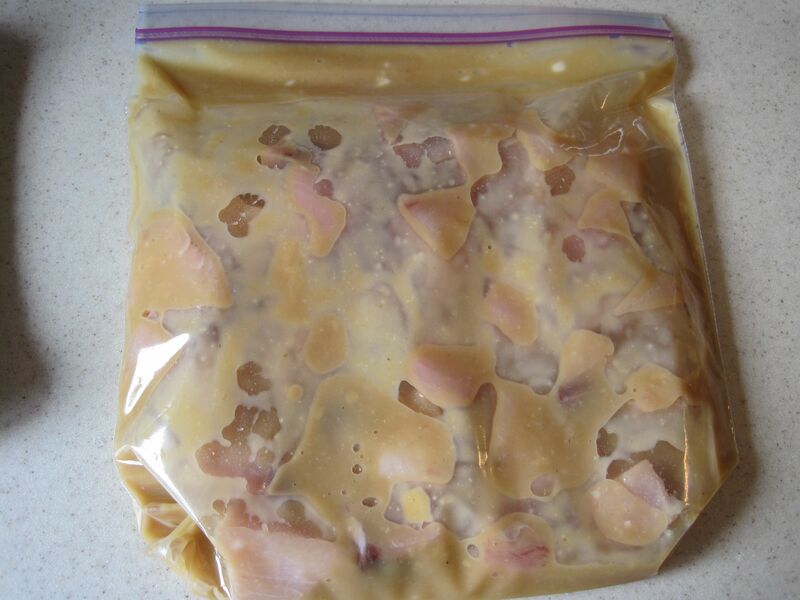 The salad can be refrigerated up to 2 hours before serving. 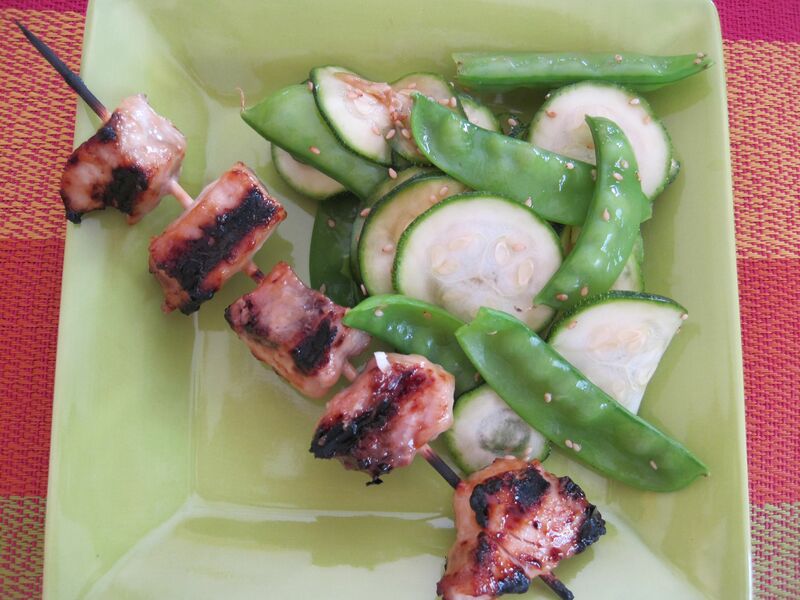 This entry was posted in Asian, Fish, Gluten-free, Side salads, Swordfish, Vegetable sides and tagged Fish, miso, snow peas, Swordfish, zucchini by Jennifer @ Meal Planning Moms. Bookmark the permalink.